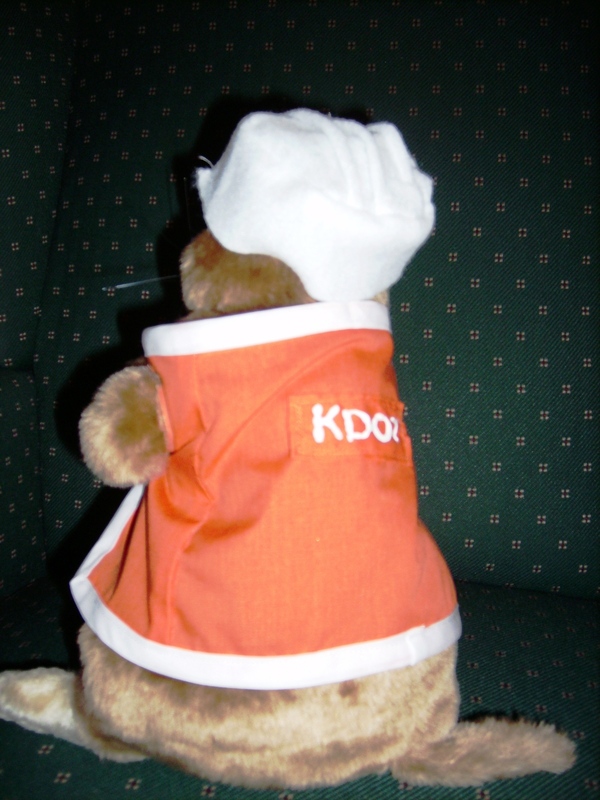 It is hard being a Groundhog! In the demise of the coloring contest (apparently no one I worked with liked to be creative), Phil and Phyllis moved in to take over as hosts for the Groundhog’s Day pizza party (yes we do celebrate Groundhog’s day at my work). 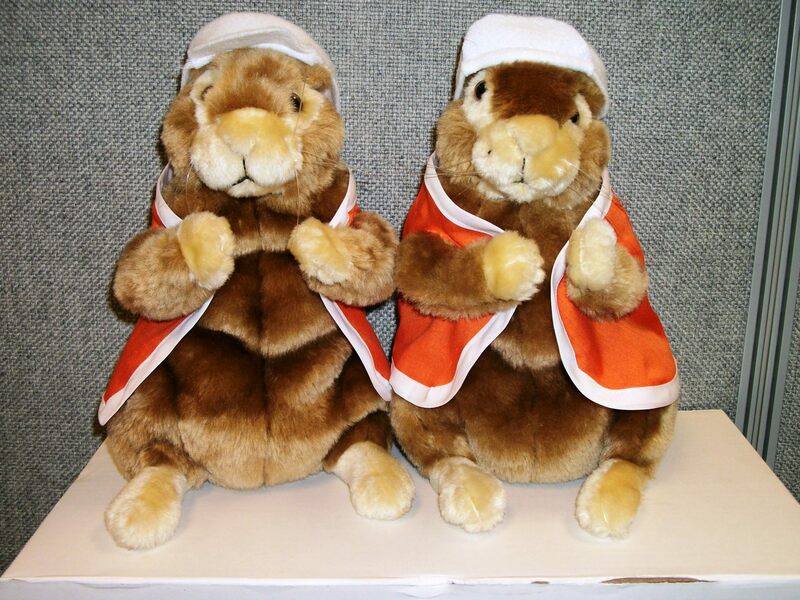 The first year was tough on the poor Phil and Phyllis as they try to be taken seriously in this harsh office environment. 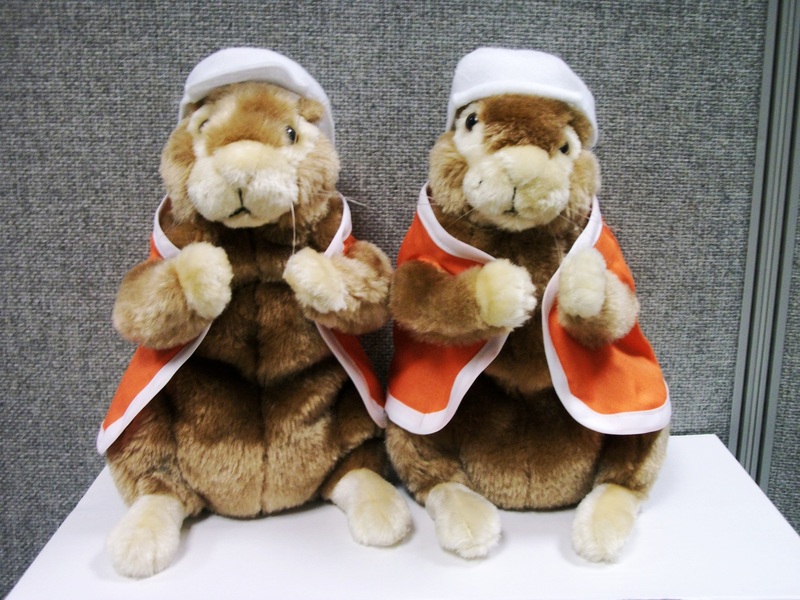 They received threats of being shot at with rubber bands (even now they don’t travel to the 12th floor where they may be shot at) and were never taken in as integral part of the Groundhog’s day celebration. Phil and Phyllis needed to get an outfit that would make them fit in with their surroundings. 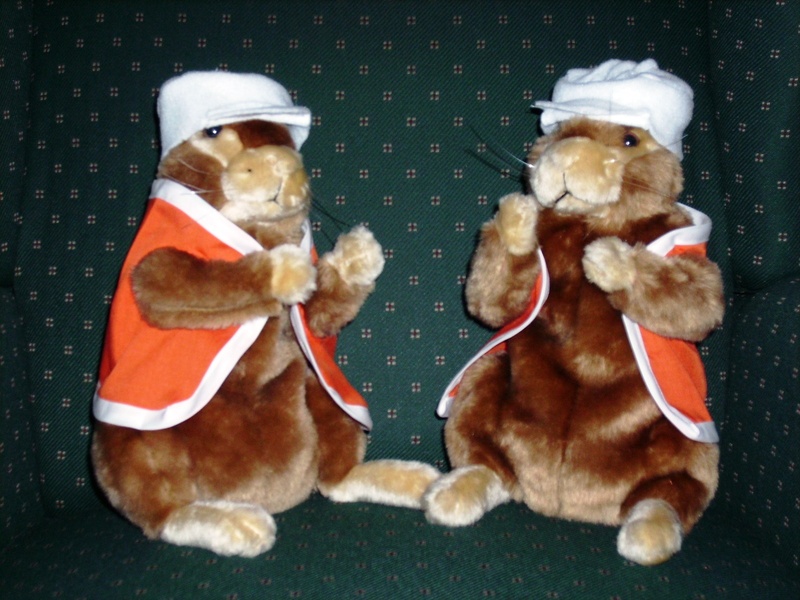 In a construction related world, they needed orange vest and hard hats! 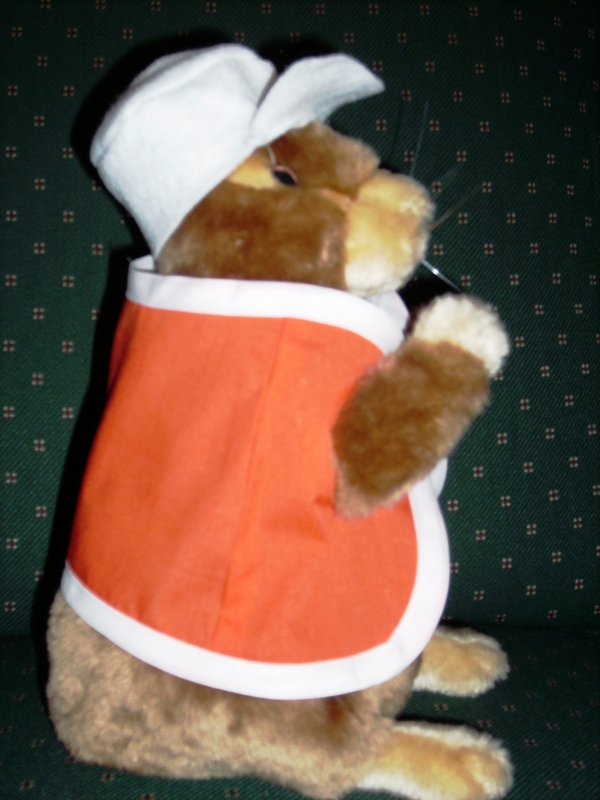 I was their seamstress and created this outfit for them a couple of years ago. Their lovely vest feature French seams, and a bias trim hem. 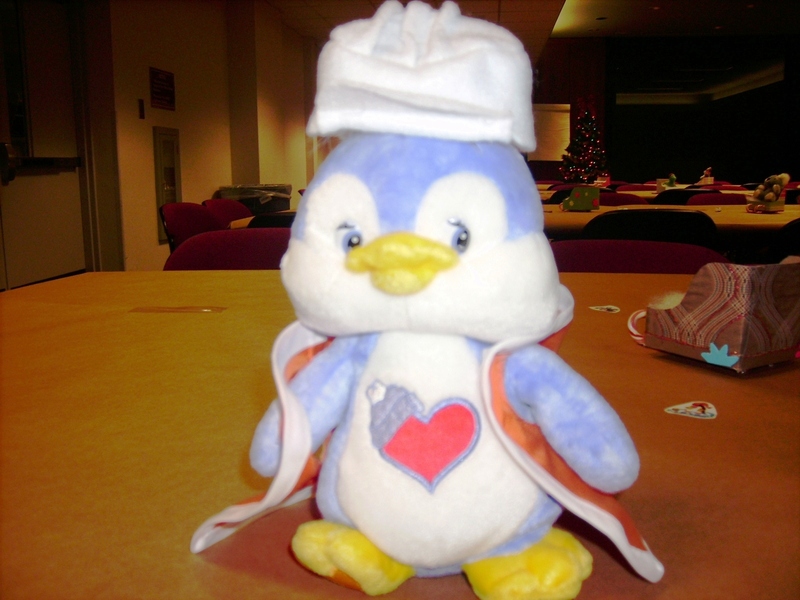 And they were kind enough to lend a vest and hat to Cozy Heart Penguin so Cozy could manage the money can at the Bureau holiday party (the poster was penguin themed so keeping with themes). All the projects in this book, “Creating Glamorous Jewelry” are based off of jewelry from Hollywood legends like Marlene Dietrich, Vivien Leigh, and Olivia de Havilland (just to name a few). Seeing that I have a love for classic movies, I thought it would be a perfect book to have. 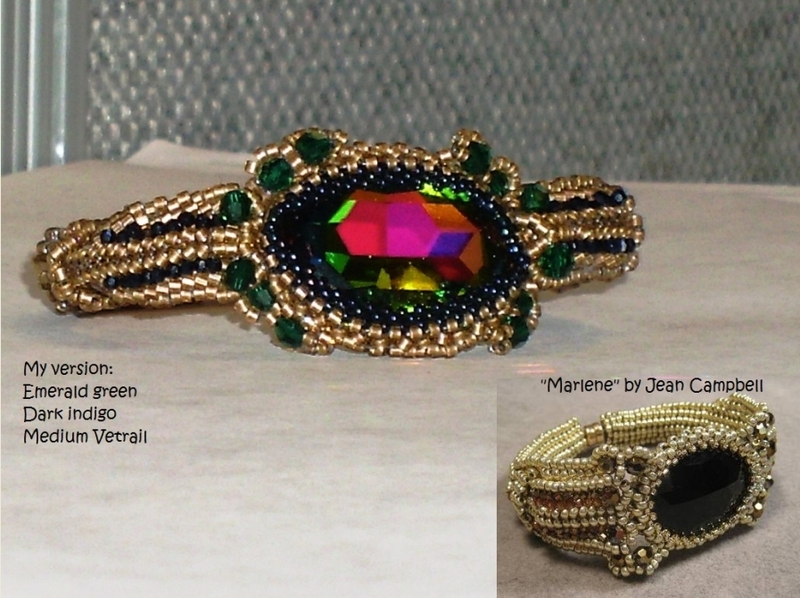 The Marlene bracelet is based on one of Marlene Dietrich’s emerald bracelets. The beaded creation is as eye-catching as the original. I should be able to get a lot of wear out of it with jeans, top/ cardigan, and heel. It dresses up any simple outfit. It wasn’t until after I was finished that I came across an interview for About that the author mentioned this as one of the more challenging pieces she had created. So I will mark down all the differences between the book’s version and my own to that and not user error like I originally thought. The pattern in the book is designed for a 6 1/4 inch bracelet. So anyone making this will need to lengthen it. When I worked at a jewelry stand, 6 1/4 inch bracelet was classified as a child’s length. A standard size bracelet is usually 7 inches; which is what I lengthened this to. First part to make was the focal bezel. 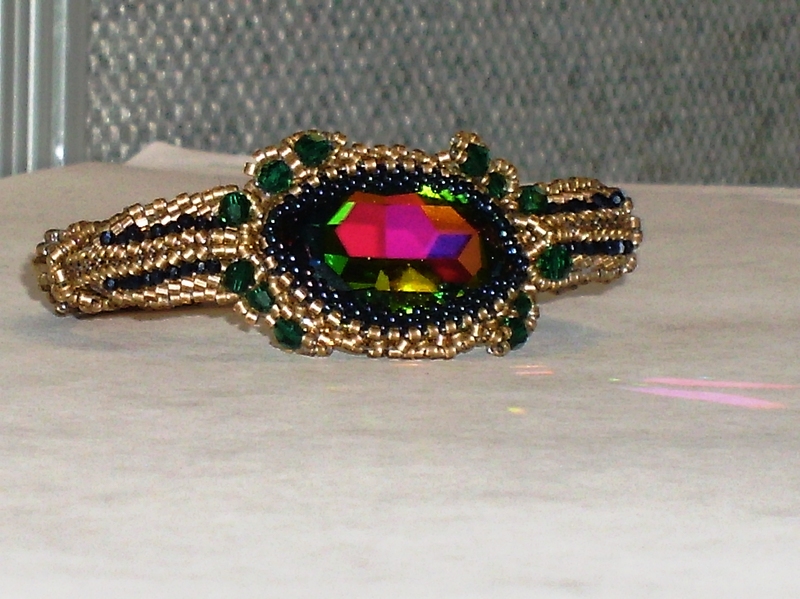 Instead of the peyote setting I am use to, this pattern called for a right angle weave bezel. I wasn’t able to follow step #1 exactly. All total I used 34 right angle stitches instead of the 28 listed in the book. I had switched out the seed beads for delica beads so that could be the reason but I don’t think it was the cause of my restart. When I had used the seed beads, the 28 units was just too small for bezeling the focal 22x 30 mm crystal. Be aware just in case this wasn’t all my fault if you make this pattern. My next word of advice for this pattern is it is very fickle with tension. Each of the side components with the 2mm indigo crystals were probably made about 3 times because I broke the thread and there was no way to repair it. The whole piece just started to unravel when the thread broke. After all the repeated practice, I was able to make the side components in an hour. For the outer band stem connection, I wasn’t quite sure what the directions were telling me to do. From what I think I understand now, is that the herringbone tube should have been 12 beads instead of 6. 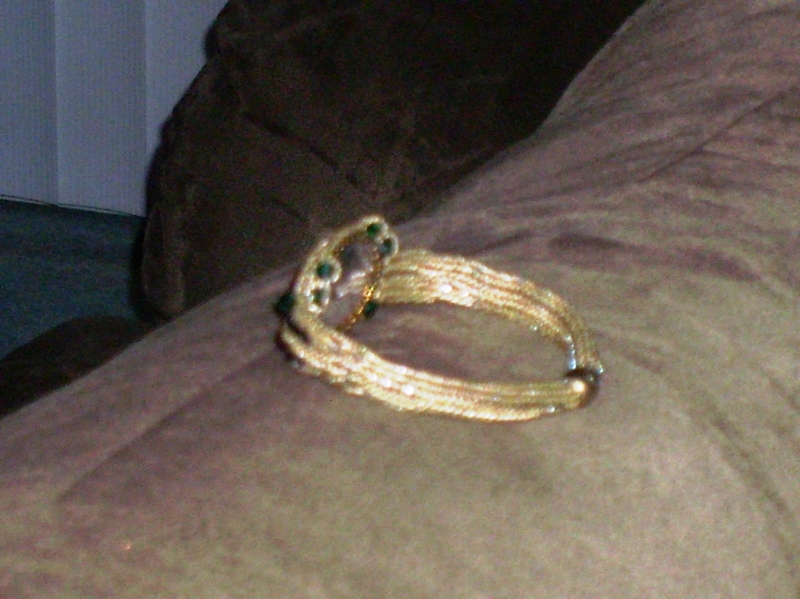 I really slowed down progress on this bracelet when I started to wonder if it would be able to clasp without breaking. In all, this was probably around 40 hours of patiences.